Small modular nuclear reactors for secure continuity of energy supply. The UK energy generating and supply industry, has had a program of diversification into renewable sources of supply for many years, enabling the UK to be less reliant on finite gaseous and liquid form hydrocarbons, as well as coal. Coal fired power generation, which has been the staple source of electricity, has been gradually replaced by gas fired power stations, thus reducing carbon dioxide emissions, as well as increasing the efficiency of energy conversion. Increasingly, over the last few decades, the adoption of renewable forms of energy, the general mix of extractable sources, and solar wind and water power, has tilted toward the latter sources. Since the 1950’s, the utilisation of nuclear energy to provide the nations power requirements, has never really fulfilled its promise to become the primary source of the nation’s energy needs. The siting of the station, overruns in terms of construction times, and costs, has restricted its position in the energy market. The use of nuclear has once again become a topic of debate with the proposed construction of a third reactor on the Hinkley Point site, the use of a new design of the reactor which has its roots outside of the UK. Add to this the source of the funding has led to its delay on a political level. Energy sustainability as well as affordability is the crux to the UK economy and political stability. The need for long term reliability as well as fulfilling the need for carbon dioxide emissions requires the use of a nuclear solution. Fortunately a solution is available widely used safely and efficiently delivering electrical power where it is needed at an affordable level. Small modular nuclear reactors (SMNR’s) have been used as a generator of electrical power for marine propulsion on surface and subsea platforms for more than 50 years. 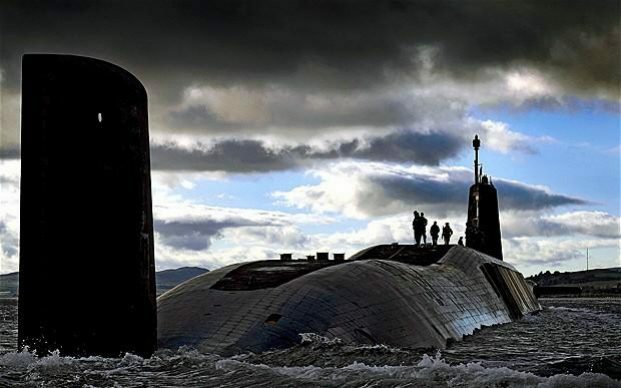 The defence of our nation was underpinned by the use of our nuclear weapons program delivered from a nuclear powered fleet of submarines for more than 50 years. The United States has nuclear powered aircraft carriers, and along with other NATO and non NATO countries, as well as commercial ships a total of more than 150 small modular nuclear reactors are powering the worlds sea going traffic. The good news for the UK is that a major engineering group is building these SMNR units constructed in the UK. The Engineering conglomerate Rolls Royce long associated with the manufacture and supply of engineered products to the defense and aerospace requirements of the UK are the UK leader of this technology. Rolls Royce gas powered engines drive electric generating turbines in gas powered power plants. A SMNR as a nuclear submarine power source is rated at around 250MW, with a projected build cost as a power station at around £1.25bn the proposed Hinkley point nuclear power station is rated at 3200 megawatt with a build cost of £18bn.. The existing design is UK based in terms of manufacture using uk sourced components. The units can be factory built and assembled, reducing unit costs with guaranteed build quantities. The smaller power station footprint increases site potential availability. A smaller reactor size requires much less coolant eliminating the requirement of coastal sites. Build times are significantly reduced. SMNR’s require fuel of less than 5% enrichment. If we are obliged to use Nuclear Power to reduce carbon emissions and save the planet, do we really need to build expensive untested big plants when home-grown technology would do? Is this more about producing weapons grade nuclear material than actually cutting carbon?
" Whilst the announcement today, of the go ahead of Hinkly Point C, on the basis of securing the future needs of UK energy supply, is recognized, an opportunity for the engineering industry in the UK to be allowed to utilise existing proven technology, has been ignored, at least for the near future. This is a disappointing decision, as hundreds of millions of pounds sterling has been allocated, by the Treasury over the last 2 years, for developing existing technology, used in marine propulsion, to be adapted as a land based energy resource. Utilisation would secure the UK's special steel production, safeguarding existing plant, and jobs,as well as security, and cost to the UK taxpayer. It is hoped that the Government consider for future nuclear power stations, not to waste the development funding already allocated, and to apply the developed units for future power generating plants." It has been brought to the authors attention, that the proposed Moorside nuclear plant, proposed by Nugeneration to be built near to Sellafield, will utilise the construction of 3 Westinghouse design Small Modular Reactors(SMR) AP1000 units, each reactor having an output of around 1.15GW. Thank you for your comment which will be display once it has been moderated. People First was formed in 2011 by a group of disillusioned and frustrated councillors within Carmarthenshire County Council. Membership is open to all who wish to help and serve their communities outside the traditional political party system as true independents. As a truly independent group, we are entirely supported by our members and occasional donations. If you would like to support People First, or become a member, please choose from the drop-down menu below, enter your email, and click the button to proceed to our paypal. Or for a one-off contribution, please scroll down to our donate button.